Here is my contribution for pancake day, although they are crepes not pancakes. I still remember a few years ago when I decided to cook brunch at my parent’s house for my Dad for Father’s day. I told Jerome I was making crepes (very thin, usually quite large) and he kept insisting that I was making pancakes (thicker and fluffy). Once I cooked them and he saw the final product, he had to admit that I did actually know what I was talking about and that I had made crepes. For my birthday last year I was looking for somewhere new to have brunch and I found Toast in East Perth. As soon as I saw crepes with rhubarb and raspberry compote on the menu I was sold. It is now one of my favourite places for breakfast/brunch and they also make a great juice called the ‘beach bear’ (pineapple, apple, ginger and mint). I’m honestly thinking about getting a juice maker at home just so I can try to make that juice! So, inspired by my favourite crepes at Toast, I decided to see if I could replicate the flavours at home and make my own rhubarb and raspberry compote. I have to say that the final result exceeded my expectation. I was so happy with the compote that I could happily eat just that. I like very tart sweets, so you may want to add more sugar if you prefer things a bit sweeter. 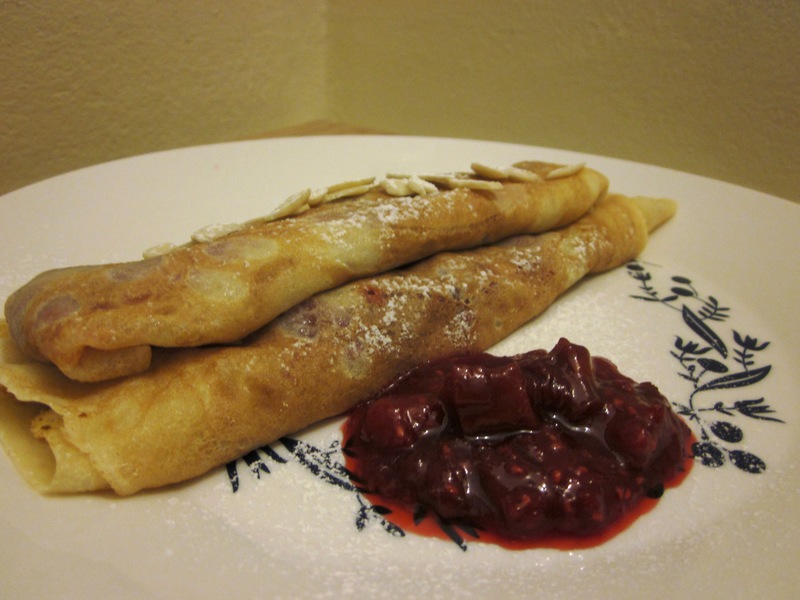 I’ve also included the crepe recipe that I have used for years, from The Beginner’s Cookbook by Family Circle. Week 3 of the 6 week pastry making class I have been attending was all about chocolate pastry. We learnt how to make a chocolate pastry which was cooked and then filled with ganache. The pastry was the same recipe as the sweet pastry we learnt in week two, but with the addition of 40g cocoa in place of some of the flour. 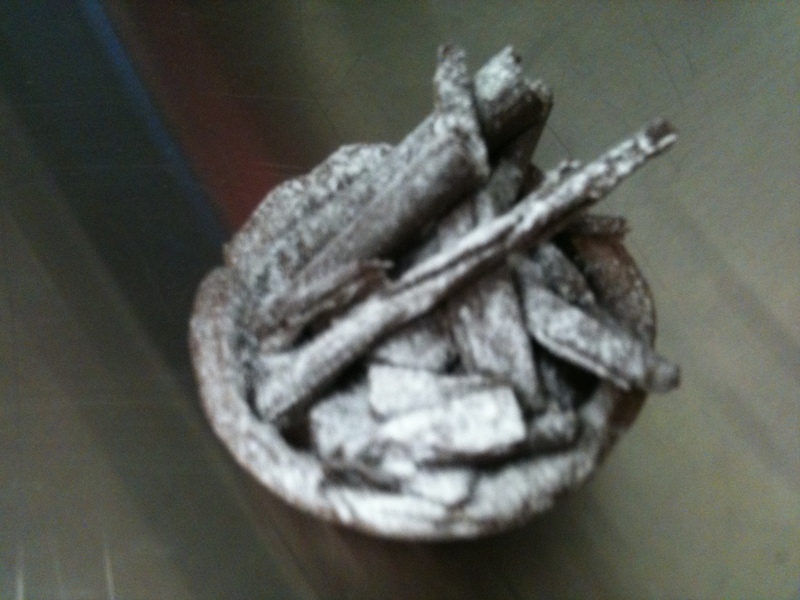 I haven’t made these again since the class as it is just too much chocolate for me (I know, I’m strange). However the recipe for the sweet pastry (including the note on how to make it chocolate) is here and I have previously posted a recipe for chocolate ganache here. Last week we made apple and berry lattice tarts which was something I was really looking forward to (I love anything with berries in it). 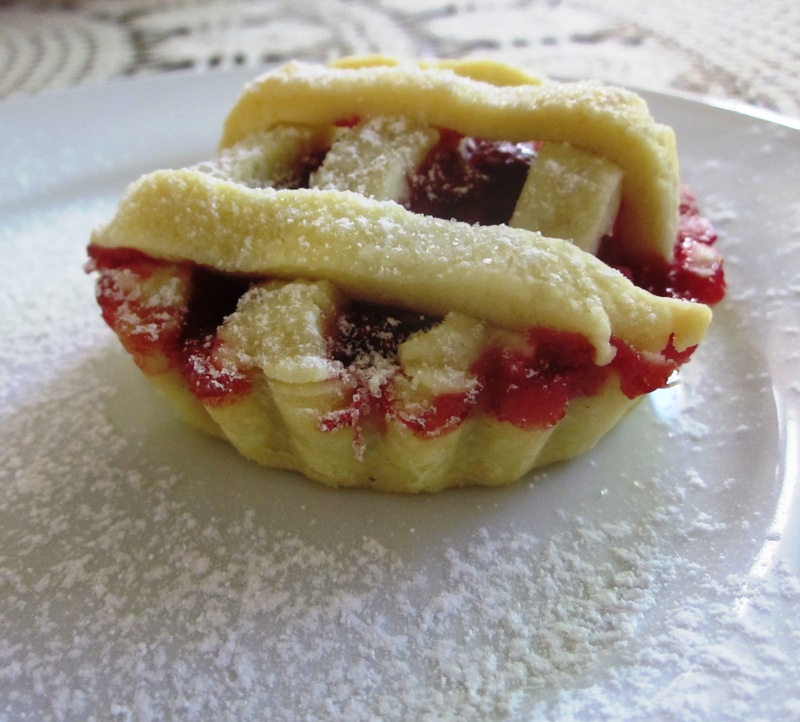 This tart uses a very short pastry that is equal parts flour to butter. It can be used for either sweet or savoury baking and for this tart the filling and pastry are cooked at the same time. The basic filling recipe can be adapted with many different combinations of fruits, with our teacher Sarah Brigden (from babyCakes) recommending rhubarb and raspberry . I didn’t really eat rhubarb growing up (my Dad doesn’t like it). However it is now one of my favourite fruits to use in desserts (along with citrus and berries) due to its tartness. So I had to give it a try. The rhubarb filling is wetter when it cooks than the apple filling, so it seems to take a bit longer to cook the pastry as a result. The end result though is delicious. The tart, tangy sweetness of the rhubarb and raspberry contrast the rich buttery pastry perfectly. I would definitely recommend giving this one a go. The pastry is a bit trickier to work with than the other sweet pastry we learnt in week 2, so I wouldn’t recommend it for a first attempt at pastry. But if you give it a little time to rest in the fridge, and return it to the fridge when it gets too warm, it is easier to work with. I have found that with practicing at home outside of class, I am getting a lot better and quicker at handling pastry. Also, with all the classes I have attended over the last year, I have found that if I try and replicate the recipes fairly soon after attending the class, I remember the specific techniques and tricks a lot better.